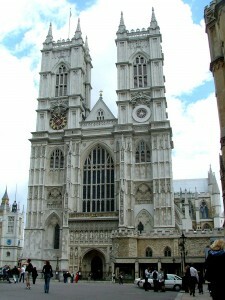 Westminster Abbey, London – Famous for being the place of coronation for monarchs since 1066, and also the resting place of seventeen monarchs. You will find both Elizabeth I and Mary I at rest here and will be able to enjoy beautiful stained glass windows, artefacts and tombs. St. Paul’s Cathedral, London – The original medieval cathedral (from 604 AD) was destroyed in the 1666 Great Fire of London but it is well worth seeing this iconic London landmark built by Sir Christopher Wren between 1675 and 1710 which has been the setting of many important events – jubilee celebrations of Queen Victoria, funerals of Lord Nelson, the Duke of Wellington and Winston Churchill, and the wedding of Prince Charles to Lady Diana Spencer. Peterborough Cathedral, Peterborough, Cambridgeshire – This cathedral dates back to Norman times and is famous for being the resting place of Henry VIII’s first wife, Catherine of Aragon, and also Mary Queen of Scots. Mary Queen of Scots is no longer there because her son, James I, moved her body to Westminster Abbey. Fountains Abbey and Studley Royal, Near Ripon, North Yorkshire – This was the former home of Cistercian monks and was one of England’s wealthiest monasteries. It is now famous for being one of the UK’s largest monastic ruins and is a World Heritage Site in a beautiful location near the Yorkshire Dales. 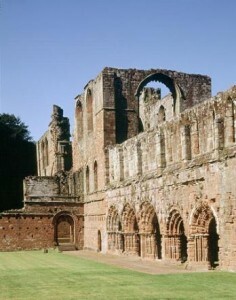 Here you can see the ruins of the 12th century abbey, the Elizabethan Fountains Hall and the Victorian St Mary’s Church. Canterbury Cathedral – This cathedral, whose history dates back to 579 AD, was visited by Henry VIII on many occasions and was also the setting of the famous murder of Archbishop Thomas Becket in 1170. Christ Church College, Oxford – This college is one of Oxford’s oldest colleges, being founded by Cardinal Wolsey in 1524 as Cardinal’s College when it took over the site of St Frideswide’s Monastery. Past famous students of the college include Lewis Carroll, W H Auden, Albert Einstein and John Wesley. Furness Abbey, Cumbria – This sanstone Cistercian abbey is famed for being the first monastery to voluntarily surrender its possessions to Henry VIII and dates back to 1123 when it was founded by Stephen, Count of Blois, who later became King of England. Its impressive ruins can still be visited today. Leicester Abbey, Leicestershire – Foundations and walls are all that’s left of this 12th century abbey that is the final resting place of Cardinal Wolsey and which was closed down by Henry VIII in 1538. You can still see Wolsey’s memorial in the ruins and there is also a statue next to the Abbey Park’s cafe. Rievaulx Abbey, North Yorkshire – This Cistercian abbey was one of the most influential abbeys in the north of England and it is said to be the most complete and impressive abbey in the whole of the UK. I have enjoyed browsing the ruins here and its location on the edge of the moors is just stunning. Whitby Abbey, North Yorshire – This clifftop Benedictine site actually dates back to the 7th century when it was founded by Oswy, the Saxon King! In the 9th century it was abandoned after being attacked by the Vikings but was refounded in 1078. It was later destroyed by Henry VIII in 1540 but its ruins still stand today. Also see the Whitby Abbey website.